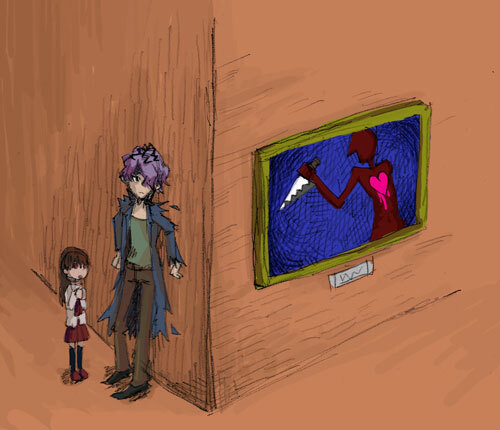 kouri made a page on his site called "Ib Gallery" with some additional images and design stuff. There are some spoilers, so probably don't look at these if you haven't beaten the game. The design concept for the game was something like a foreign storybook. 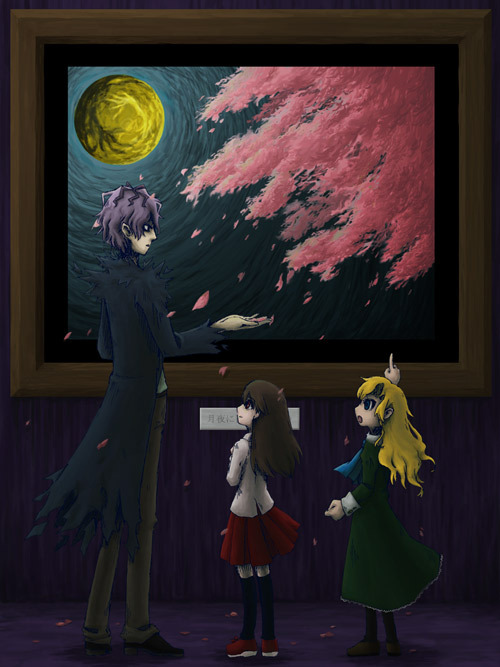 "Fleeting Thoughts on a Moonlit Night"
A peaceful moment in the violet area. 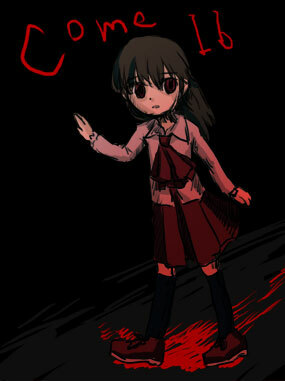 "Rough Sketches and Design: Ib"
Her family is upper-class, so her skirt goes just down to her knees. 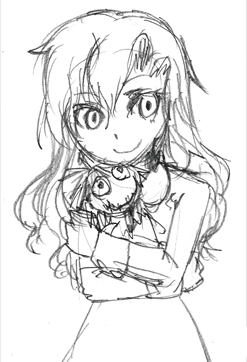 Here's the first design of Ib. The expression isn't quite right, but her clothes hardly changed. 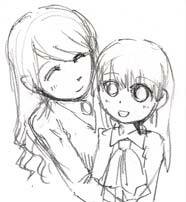 Of course, she gets along with father too. Initially, I planned to have the menu image change for every petal you lost. So she'd look more like this when she got down to 3... but it was too much of a hassle. 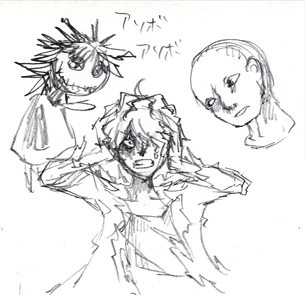 "Rough Sketches and Design: Garry"
Ib's support, Garry. He's got a stylish design. 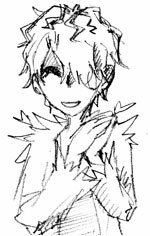 It was hard drawing distinctive expressions since he only shows one eye. 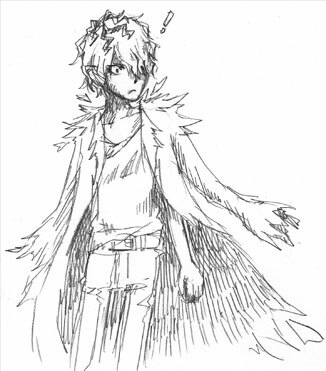 I like the idea of his coat fluttering around wherever he goes. 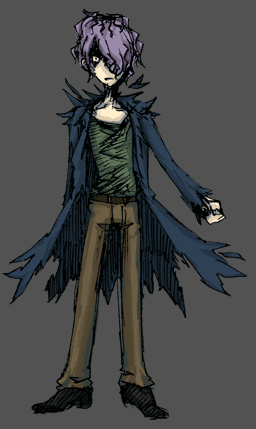 I fiddled with the ruggedness of the coat over time... He has a tank-top underneath. Garry's strange, but very easy to like. His personality's very feminine, too. 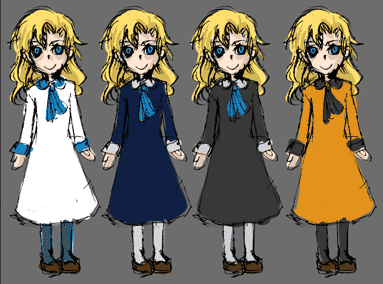 "Rough Sketches and Design: Mary"
I intentionally gave Mary more color than the other characters. Also playing. And delicious things. Personally, I liked the second from the left just as much. But it seemed too ocean-esque, so I scrapped it. I wish I could've made a few more discussions between these two.